Best Buy: Free movie download! Happy Holidays to you and your family from Best Buy & CinemaNow. There’s an advantage to being a Facebook fan – We are gifting our fans a complimentary movie each day for 8 days! Click here for today’s code to choose from 8 different titles for download. So, head on over here to the Best Buy facebook page, "Like" them and get your code for a free digital copy of one of the 8 available titles for today. Then check back tomorrow to choose from even more titles! Today you can choose from: Horrible Bosses, Batman Begins, Happy Feet, Sherlock Holmes, Arthur, The Blind Side and The Hangover. Pizza Hut: Free Order of Stuffed Pizza Rollers! Sorry guys, it looks like they have now updated the site to where you have to order a pizza in order to get these free. However, this will work with a personal pan pizza which costs right around $4 so it's still a great deal! Here is an awesome deal from Pizza Hut! Today only you can score a 4 count order of Stuffed Pizza Rollers with dipping sauce from Pizza Hut completely free! Just head on over here to start your order. I suggest choosing the carry out option so that you don't have to pay a delivery fee. I've never had these before but they look pretty tasty and I'm always excited about free food! Google Offers: $10 for $20 Wag.com gift card + $10 off coupon code! Check out today's awesome Google Offers deal for Philadelphia. 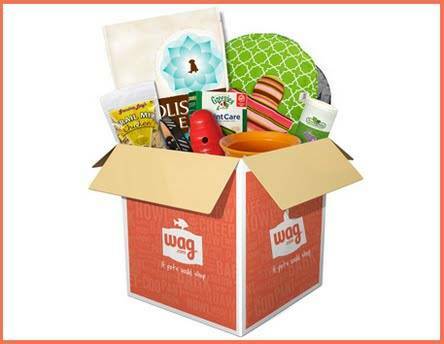 You can get a $20 voucher toward pet products at Wag.com for only $10! I recently placed my first order at Wag.com and was very impressed with them. I received my item within two days of ordering and had no problems at all. You will have to pay shipping with this offer but they have a flat rate shipping fee of $4.99 if you're order total is less than $49 or you can get free shipping if you spend more than $49! Limit 1 per household/ order. Offer can be redeemed starting Nov 10, 2011. Vouchers cannot be applied towards gift certificates, tax or shipping. Wag.com vouchers may be used only to purchase eligible goods on Wag.com. The full value must be redeemed in a single transaction. Vouchers cannot be reloaded, resold, transferred for value, redeemed for cash or applied to any other account. Wag.com is not responsible if a voucher is lost, stolen, destroyed or used without permission. To redeem, shop at wag.com, then enter your Google Offer Code in the Promotional Code field during checkout. Offer is final sale and nonrefundable. Wag.com vouchers are sold by Google, an authorized reseller of Wag.com vouchers. Wag.com and the Wag.com logo are trademarks of Wag.com. Even better? You can currently use coupon code "WAGFREE10" at Wag.com to receive $10 off any order of $10 or more! I'm not sure if this code can be used with the voucher or not but if so then it would make for a seriously sweet deal! 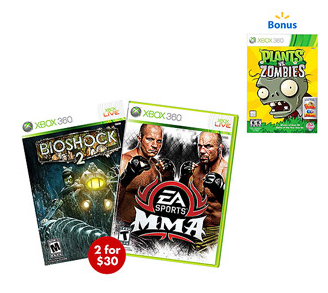 Walmart.com: Xbox360 games 3 for $30! Here is a great deal for all of you who have an Xbox360 or know someone who does. 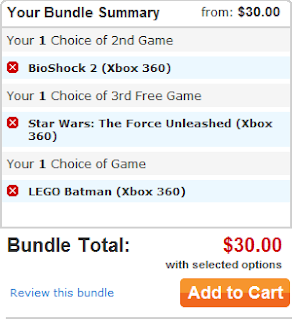 Walmart.com currently has quite a few Xbox360 games on sale 2 for $30, plus when you buy two games you get a third one free! It's hard to beat 3 games for just $30, especially with Christmas just around the corner! You can also select Site to Store Pickup to get these games shipped to your local Walmart for free! You can check out all of the participating games by heading over here.